This salad is so delicious to start the spring out! Where I live there is still a foot of snow outside! But making this salad makes it feel more like springtime to me! Rinse and chop all of your lettuce. Place this in a bowl. Slice your strawberries and avocado. 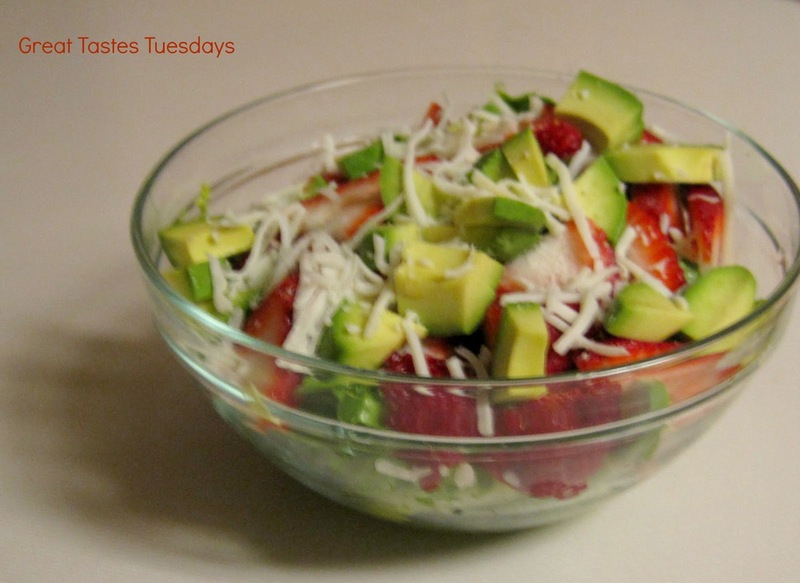 Top the lettuce with your strawberries and avocado. Sprinkle over the top your cheese. Pour your favorite dressing on top and enjoy!